This is the first in a series of articles dedicated to preserve the facts revealed about the Fukushima Daiichi nuclear disaster. A disaster is a natural or man-made (or technological) hazard that has come to fruition, resulting in an event of substantial extent causing significant physical damage or destruction, loss of life, or drastic change to the environment, as the consequence of inappropriately managed risk. These risks are the product of a combination of both hazard/s and vulnerability. All disasters are the result of human failure to introduce appropriate disaster management measures. This coming week will mark the first anniversary of Fukushima’s multiple meltdown nuclear disaster. There is little data on how badly contaminated the now-abandoned area of forced evacuation is in the 20-kilometer (12-mile) zone around the Fukushima plant. The mainstream media has already begun trotting out assorted “experts” to assure anyone who might be still interested in Fukushima that all is well and no one’s been harmed by all the radiation the reactors released. There’s no getting past the fact that the nuclear accident dumped radioactive particles into the atmosphere, soil and sea, which is a serious concern for the Japanese, who consume about 9 million tons of seafood a year, second behind China. Those poisons “rained out,” creating hot spots over the Northern Hemisphere. Radioactive material can get into water from steam or smoke which is carried by wind, rain or other precipitation onto land, surface reservoirs or the ocean. It could also be discharged directly into the ocean or leak onto land and eventually seep into groundwater. There are still traces of Cesium lingering from nuclear weapons tests in the Pacific in the 1950s and 1960s. – Kim Kearfott, an expert on radiation health risks at the University of Michigan, who toured Japan in 2011. Japan is under pressure to enhance food inspections as it has no centralized system for detecting radiation contamination. Japanese products including spinach, mushrooms, milk and beef were contaminated with radiation as far as 360 kilometers from the Fukushima Daiichi site which was destroyed by the disaster. Adding to concerns, basic radiation checks with handheld dosimeters failed to detect the ingested cesium in the cattle. The government argues that food fears are overblown. It says hundreds of food samples are tested daily for radiation, and few exceed government standards for radioactive cesium. However, they are often seen as being habitual late-responders, critics point to contaminated beef that has turned up on the market. Broccoli, spinach and shiitake, too — all discovered after they were already on sale. The Japanese youth face years of uncertainty about what’s safe to put on the table. The Fukushima disaster has been marked by such confusion, much of it due to TEPCO’s bungling response, which has been severely criticized by the government and the independent press. Most recent reports also suggest that the Japanese government is seriously downplaying the real amount of radioactive substances that leaked from Fukushima. Experts said the Japanese government must decide what to do about contamination spread across the nation, especially since radiation releases from the plant could continue for years. The contamination will affect Japan for decades, studies in Belarus found that in 2000, 14 years after the Chernobyl disaster, fewer than 20 percent of children were considered “practically healthy,” compared to 90 percent before Chernobyl. Thousands of people continue to inhabit areas that are highly contaminated, particularly northwest of Fukushima. Radioactive elements have been found in tap water in Tokyo and concentrated in national products such as tea, beef, rice and other food. Many want answers: How did radioactive cesium from the reactors at Fukushima end up here? Tetsuo Iguchi, a specialist on radiation monitoring at Nagoya University, says experts don’t know. Iguchi is working as a consultant with a government group that is urging thousands of tons of contaminated soil to be cleared off and then sent to storage, possibly inside the Fukushima complex. “Nothing like this has ever been seen before.” He said. Radiation from Fukushima has been discovered on the other side of the globe in British Columbia, along the West Coast and East Coast of the United States and in Europe, and heavy contamination has been found in oceanic waters. Radioactive cesium, xenon and iodine have been detected over a wide area of North America. 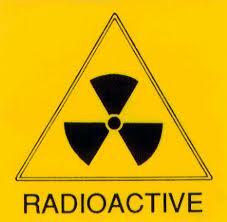 Other radioactive particles have been detected in the waters near the plant, and some have made their way into fish. Trace amounts of radioactive cesium-137 have been found in anchovies as far away Tokyo. Radiation is more dangerous for infants because their cells are dividing more rapidly and radiation-damaged RNA may be carried in more generations of cells. Radioactive iodine has been detected in the thyroids of half of 1,000 Fukushima children, NHK reported, citing findings from a group led by Satoshi Tashiro, a professor at Hiroshima University. Prolonged exposure to radiation in the air, ground and food can cause leukemia and other cancers, according to the London- based World Nuclear Association. -Shunichi Tanaka, the former acting head of Japan’s Atomic Energy Agency. The contamination has also begun to seep into the sea, and tests iodine was found in nearby Fukushima seawater at levels 4,385 times the legal limit. Radioactive iodine is short-lived, with a half-life of just eight days, and in any case was expected to dissipate quickly in the vast Pacific Ocean. Radioactive contamination in groundwater underneath reactor No 2 was measured at 10,000 times the government health standard, according to media reports. The release of radioactivity from Fukushima is the largest accidental release of radiation to the ocean in history, and it is still on-going. It will likely take decades before results are available to fully evaluate the impacts of this accident on the ocean. Groundwater, reservoirs and sea water around Japan’s earthquake damaged nuclear plant face “significant contamination” from the high levels of radiation leaking from the plant, a worrying development that heightens potential health risks in the region. A Kyodo News survey showed Sunday that 83 percent of local governments have anxiety about distributing iodine preparations to their residents in the event of a nuclear crisis, partly because they do not know how to instruct residents to take it. The results of the survey indicate that many local-level authorities are still having difficulty preventing internal exposure. Most of Japan is skeptical about the Japanese governments’ objectivity because of their general mistrust of those who repeatedly have shown more loyalty to the nuclear industry than their own fellow citizens, and repeatedly delayed disclosing key data and revised evacuation zones and safety standards after the accident. Some even wonder whether the government-organized studies are in fact really using them as human guinea pigs to examine the impact of radiation on humans. Some experts have voiced their concerns as well, stating that Japan has repeatedly only released data related to the “most popular” radioactive isotopes, and only looked at the “most widely known” effects and abnormalities that may infer internalized contamination. They continue to call for the Japanese government to check for as many potential problems as possible.